Twenty years in the music industry these days is a fine achievement, particularly so in progressive rock, the genre that punk claimed to have killed. Spock’s Beard have lasted longer than their name sake, as I do believe that Mr. Spock’s beard lasted only one Star Trek episode. Following on from the release of album number twelve, The Oblivion Particle, we have a milestone release from InsideOut, available as a two CD and DVD digi-pack and as a digital download. 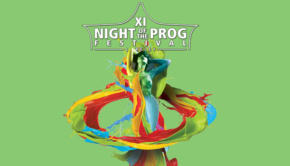 The DVD contains rare footage of the band in the 1990s, featuring the vintage live performance from Progfest ’97, as well as the band rehearsing and recording The Kindness of Strangers album. This review is done from the download version, so I am unable to comment on the quality of the DVD material. 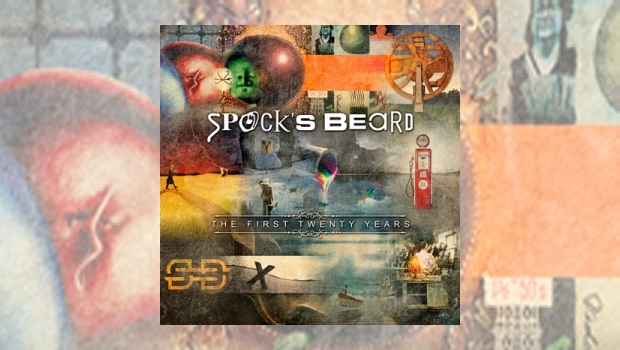 The audio content has been re-mastered by Rich Mouser and sounds very good, it contains the tracks in the “logical” (as Mr. Spock would say) chronological order from the album releases through their twenty year career. Spock’s Beard were formed in Los Angeles, California during 1992 by brothers Neal and Alan Morse, Neal playing keyboards and vocals, Alan guitar. Neal was also the principal song writer for early Spock’s Beard. Their first album, The Light was released in 1995, a further five albums followed before, after the acclaimed Snow in 2002, Neal left to pursue a solo career. The band continued with drummer Nick D’Virgilio taking over vocal duties for a further four albums before he left, Ted Leonard joining to handle the vocals. This release contains fifteen tracks spread over two discs, one track from each studio album, except for Beware of Strangers and Snow which provide two each. Also included is a new, nearly twenty minute track penned by Neal Morse, but more of that later. Disc one opens with the fifteen minute epic The Light from their first album, setting out their stall with what could be called the classic Spock’s sound, epic, melodic and with catchy lyrics. There are Yes, Genesis and some Gentle Giant influences throughout their music, the great vocal interplay on Thoughts interplay reminiscent of GG. 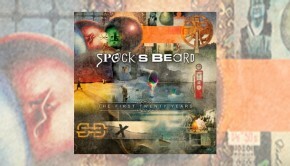 Disc one covers the releases up to and including Snow, disc two featuring the Spock’s output post Neal. On disc two we start with a track from Feel Euphoria, an album which had a harder edge built around Alan’s guitar work. There is only one track from my personal favourite, Octane, but it is a classic and beautiful song, She is Everything. Octane was a return to form and saw the band finding their way for the future. Even The Oblivion Particle is included here, with Tides of Time, before we come to what must be, for many, the highlight of this release. The new track Falling For Forever was written by Neal Morse specially for this release and features every member of the band, past and present. The press release states “imagine an epic piece with Neal Morse singing the verse, Ted Leonard singing the chorus, Nick D’Virgilio playing and singing lead on the middle section”. It is certainly epic in sound and scale, clocking in at almost 20 minutes. 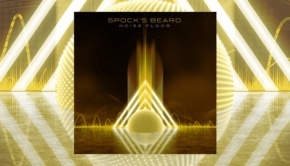 It certainly is signature Spock’s Beard and cleverly blends the sound of the band during Neil’s time with more recent textures. It is all here; excellent guitar work, swirling keyboards, great drums with good vocal delivery from all concerned, all coupled to a good and dramatically delivered melody. This is a very strong compilation that gives a good taster to Spock’s considerable output, with the new track to sweeten the deal. However, I am not sure whether, in the days of downloads, this works, after all would you by an album of tracks you may already own when you could probably just buy the new track? That said, I do feel that this compilation does offer something new, with re-mastered versions as well as the new track. 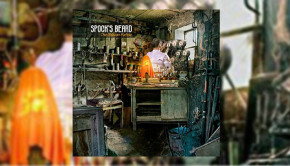 It should appeal to fans and collectors but is also a good way for new listeners to sampling Spock’s Beard’s work with a view to purchasing other releases.